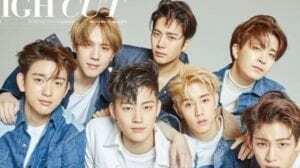 JB is the leader and lead vocalist of GOT7. – He was born in Goyang city, Gyeonggi-do, South Korea. – He has a chic personality. – He looks cold or tough to person who doesn’t know him. 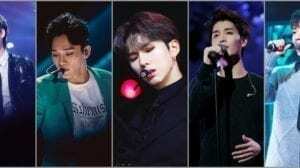 – He was a trainee for 2.5 years before his debut. – He attended Sewon High School, then took up Film major in Geonguk University. – He doesn’t like fried things. – His favorite color is grey. – JB’s favorite sports are Basketball and Football. – GOT7 have a pet Siamese cat. Jackson calls her Laura but JB calls her Nora. – JB has 5 cats (PeopleTV interview). Some of them are: Nora (GOT7’s cat), Kunta and Odd. – He can play piano. – He becomes happy when he plays music. – He becomes mad when things don’t go as he wants. – He becomes relax when he takes a walk alone or go somewhere alone. – His shoe size is “26.0”. – He likes Haruki Murakami’s books. – He acted in ‘Dream High 2’ (2012) and ‘When A Man Falls In Love’ (2013) dramas. – He also acted in a short web-series called “Dream Knight” alongside his fellow GOT7 members. – He participated in the 1st season of ‘The Romantic and Idol’ show. – If he had super powers, he would teleport to the Grand Canyon, because hee loves the feeling of being surrounded by nature. – One if his nicknames is ‘harabuji (granpa)’ since he had the gray hair for ‘Girls, girls, girls’ comeback. – JB says he can’t do aegyo but does it to his parents (New Yang Nam Show). – There were rumors that JB was so pretty when he was a child that he even took part in a Child Model Contest. – Once while he was practicing Bboy, he knocked his head on the floor because of a wrong move. He laid on the floor for 10 minutes before his hyungs wake him up. Because of that he temporarily lost his memories, when he got home, he couldn’t remember the password and stayed outside his house because his parents were already sleeping. – He is a fan of Soul Music. – Jaebum also has a soundcloud where he has posted a few songs. He produced them under his alias “Defsoul” and collaborated with JOMALONE on some of the tracks. – JB wrote GOT7’s title track “You Are” and “LOOK”. – JB had his first kiss when he was 13. – JB’s role models are 2PM and Shinhwa. – He likes Girl’s Generation’s Yoona. – He likes to cook, especially omelet rice and kimchi stew. – JB is friends with B.A.P‘s Youngjae, they filmed “Celebrity Bromance” together. – His dorm partner used to be Youngjae, he changed and shares a room with Jackson now. – Edit 2: JB moved out of the dorm. 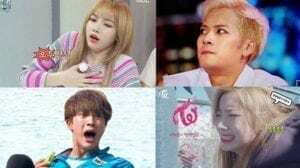 – JB is one of the fixed members of tvN’s program “Prison Life of Fools” together with SEVENTEEN‘s Seungkwan and IZ*ONE‘s Yena. – JB’s ideal type is a cute girl who catches his attention. How much do you like JB? Do you like JB? Do you know more facts about him? Feel free to comment below. I think there was a mistake in his height and that of Jinyoung’s, it might have been exchanged perhaps? Jinyoung is taller than JB, right? ◇JB composed “Bad Behavior” (나쁜 짓) for the album GOT ♡ in 2014. ◇In 2015, he wrote the rap to “Mine” in Just Right. He also composed “Everyday” (매일) for the album MAD Winter Edition together with Cho-wool of Princess Disease in the same year. ◇ In 2016, he wrote the lyrics to “Something Good”, “Fish” and “Home Run” in Flight Log: Departure. ◇ He also wrote the lyrics for “Skyway”, “Prove It” and “Dreamin'” (니꿈꿔) for the album Flight Log: Turbulence. ◇He writes and composes songs under the name “Defsoul”. ◇In the “fly tour” He co-wrote and composed the song “1:31 am” with the member youngjae (ars) but couldn’t sing due to his injury. nice to meet another indian fan! P.S. Kprofiles Iam posting their religions here,hope u dont mind. Mark, Jackson, Jinyoung are Christians. No, we don’t mind, but it would be better if you could also provide a source (like an interview when hey said what’s their religion) because usually fans are very sensitive to this topic and often ask for the source. Thanks once again! Jaebum also has a soundcloud ( https://soundcloud.com/def_xxx ) that he has posted a few songs to. He produced them under his alias “Defsoul” and collaborated with JOMALONE on some of the tracks. No? JB is 179 cm. Jinyoung is 178 cm. Therefore, Jinyoung is shorter than JB by 1 cm, but in feet both are 5’10. JB is just ahead by 1/2 inches in feet. 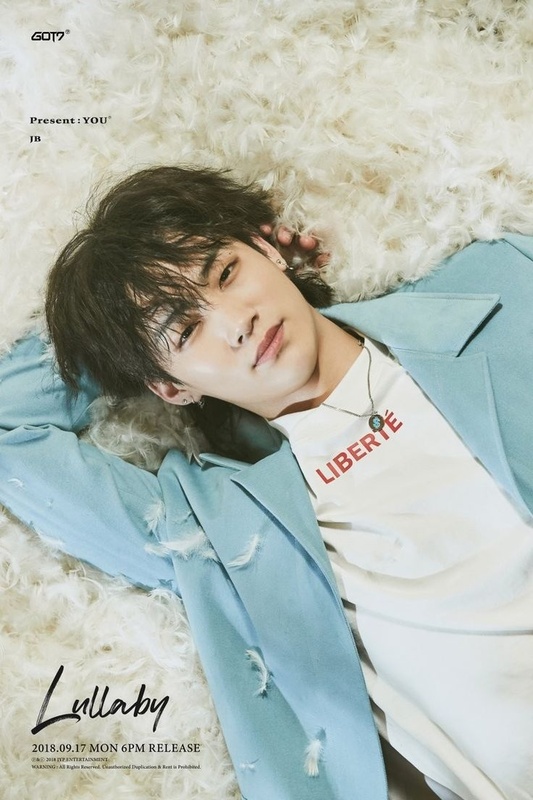 that’s why he is the leader..
JB wrote Bad Behavior (not composed), wrote & co-composed Everyday (rap making by Bambam), co-wrote and co-composed Something Good, Fish, Home Run, Skyway, Prove It, Dreamin, Go Higher, and Q. And for newest album 7for7, he co-wrote & co-composed their title track, You Are and their b-sides Teenager. Also in JJ Project Verse 2 album, he co-wrote & co-composed On&On, Find You, and Fade Away, and he co-wrote Tomorrow Today & Dont Wanna Know. At TMI he said he doesn’t like fried things. Why do some people sat “Lim Jaebum” and others say “Im Jaebum” I am so confused because for a long time I believe it was “Im” yes? based on their official profile( the jjproject website), jinyoung is 178 and jb is 179.